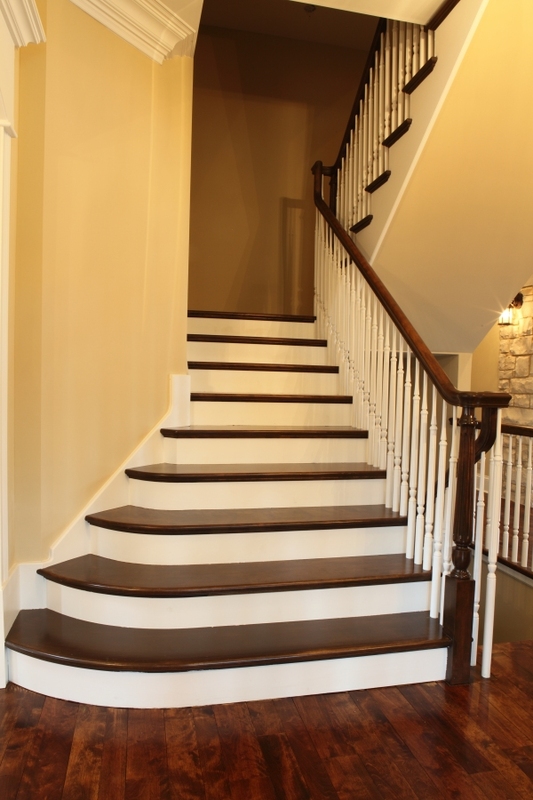 A home’s staircase provides a great first impression of your home to visitors. The main entrances of many homes are designed around staircases, and in many cases it’s the first thing visitors see when entering a home. You can think of your staircase as the largest piece of furniture in your home. Consider installing a one-of-a-kind custom staircase to welcome visitors and to exhibit your individual taste and style. You can choose from any number of styles for your staircase, from the classic look of a traditional wood staircase, to the chic styling of a contemporary glass staircase and everything in between. You can choose staircases with various shapes and sizes, from straight stairs to winding stairs to spiral stairs and to free-standing circular stairs. For the more popular wood staircases you can choose from a wide variety of wood species, some of the more common domestic species include; American Cherry, Oak, Maple, Birch & Walnut, other more exotic species include; Brazilian Cherry, Hickory, Teak & Tigerwood. 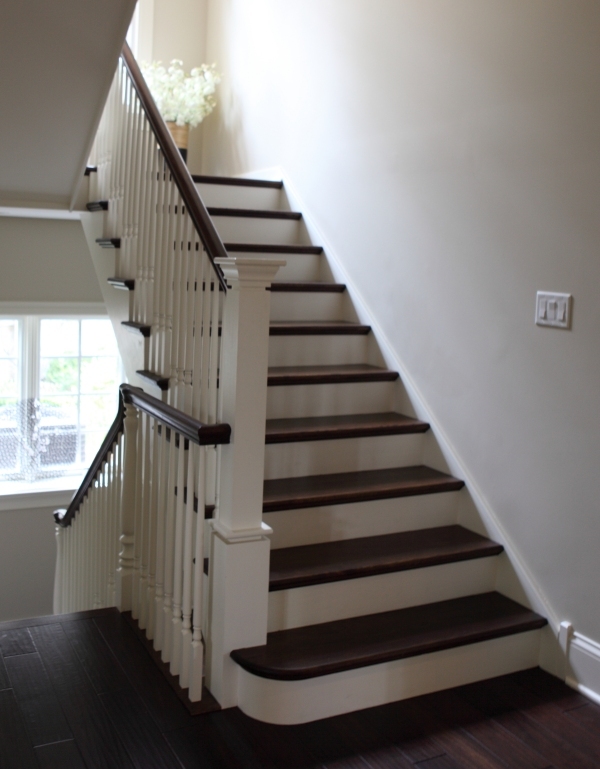 Options to consider for your custom staircase include an extensive variety of balusters (the single, vertical rods that are used to fill in a staircase). 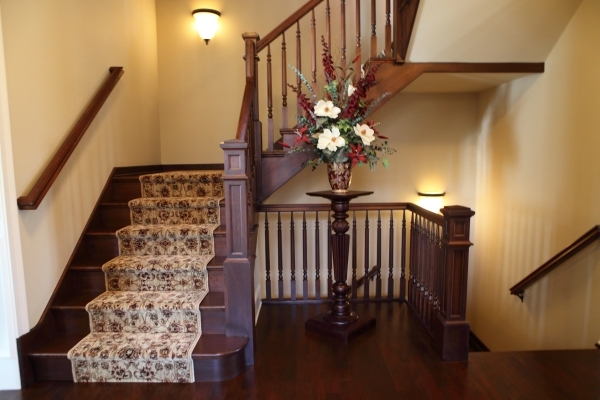 You can choose from various shapes and sizes and from many types of material, from traditional wood balusters to wrought iron balusters with elegant finishes like flat black, antique bronze, oil rubbed copper, oil rubbed bronze & even powder coated (sprayed on metal flakes baked on iron balusters). Additional options include various styles of newel posts (main columns that support the stairway). These include, Boxed Newel Post, Turned Newel Post & Carved Newel Post. 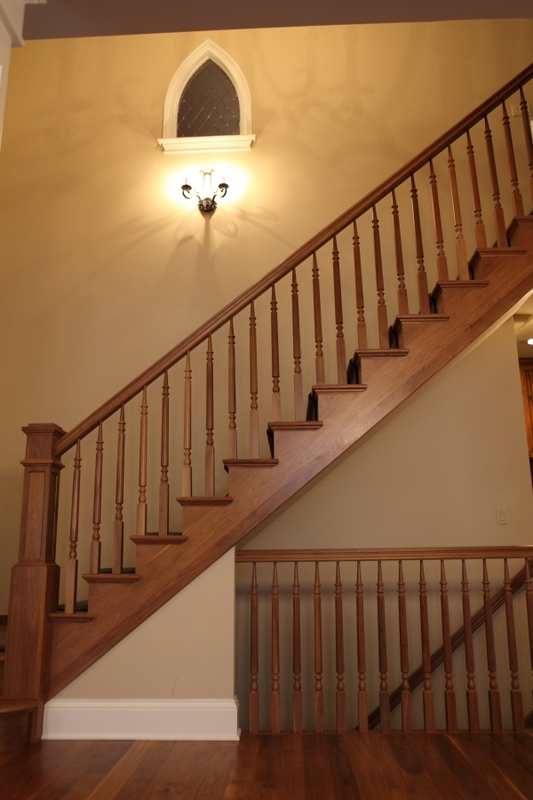 A very popular staircase design is to use a wooden staircase with wrought iron balusters. 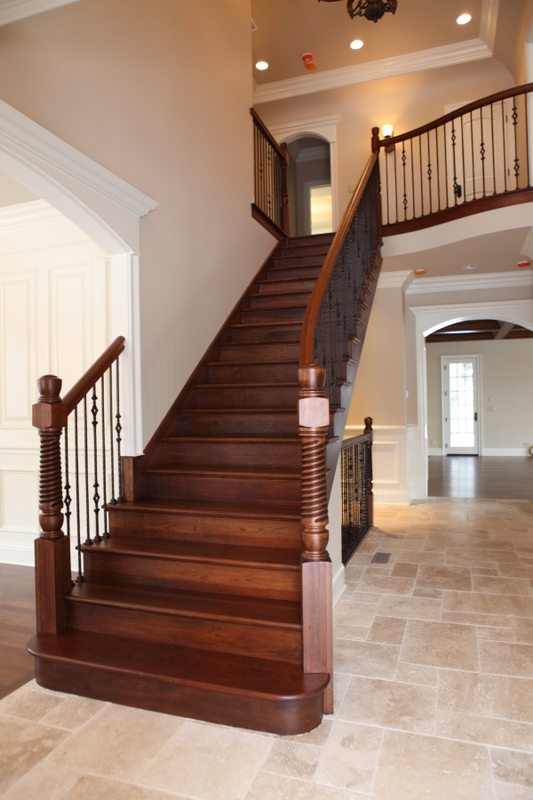 Battaglia Homes employs the finest staircase designers and craftsmen to provide the highest level of service from the planning stages to the final product. Superior quality, durability, beauty, and innovation are our trademarks. For more information about Battaglia Homes visit our website and our gallery of homes by clicking here or email us at info@battagliahomes.com or simply call us today at 630-669-4280. 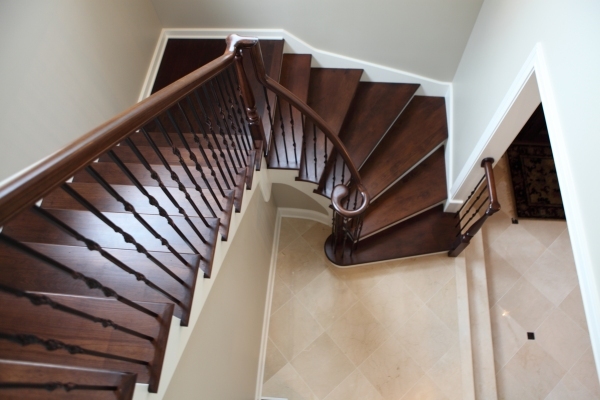 We’d love to hear from you, tell us if you appreciate the elegance and timeless beauty of custom staircases. Tell us if you prefer a specific staircase style – we appreciate your comments below. Beautiful design and excellent pictures!